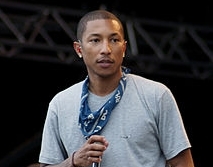 On September 14th it is time for a Pharrell concert in Oslo Spektrum. The concert will start at 20.00. If you are a Pharrell fan and in Oslo on September 14th, then why not make this an evening to remember as you get yourself some tickets for the event and enjoy this event in the most central concert venue in Oslo. Tickets for the Pharrell concert in Oslo can be bought using the link a bit further down. While in Oslo do not forget to check out all the great attractions, and if you look for a nice hotel, read our article telling you which is the best of all five star hotels in Oslo. « Which is the best five star hotel in Oslo?